The 079108640 Brown & Sharpe Interapid IRA 2 Groove Checking Comparator Gage is on sale at Gaging.co..
4608-31INSIZE Feeler Gage 0.0015 - 0.035"
The 4608-31INSIZE Feeler Gage 0.0015 - 0.035" is on sale at Gaging.com. Measure smarter! Features..
4707-100 INSIZE Machinist Square with Wide Base 3.9 x 2.8"
The 4707-100 INSIZE Machinist Square with Wide Base 3.9 x 2.8" is on sale at Gaging.com. 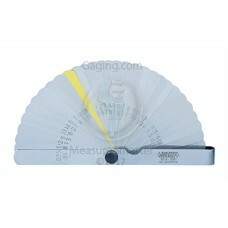 Measure sma..
4707-150 INSIZE Machinist Square with Wide Base 6 x 4"
The 4707-150 INSIZE Machinist Square with Wide Base 6 x 4" is on sale at Gaging.com. 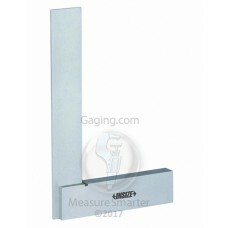 Measure smarter..
4707-200 INSIZE Machinist Square with Wide Base 8 x 5"
The 4707-200 INSIZE Machinist Square with Wide Base 8 x 5" is on sale at Gaging.com. Measure smarter..
4707-300 INSIZE Machinist Square with Wide Base 12 x 8"
The 4707-300 INSIZE Machinist Square with Wide Base 12 x 8" is on sale at Gaging.com. Measure smarte..
• Up to 1000 lbs. 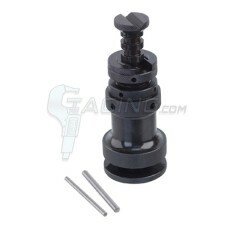 capacity • Range: 2.25" to 3.375" • Jack base diameter: 1.25" • 1" and 2" exten..
• Set consists of 2 machinist jacks supplied in a shop hardened case. • Individual jacks consist of.. 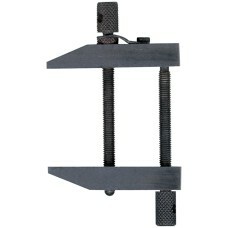 The Fowler 52-104-050 MAX-JACK Heavy Duty Screw Jack is on sale at Gaging.com! • Simplify set-up .. 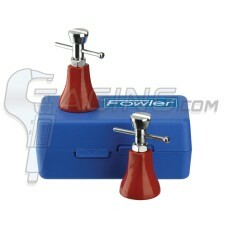 The 52-104-055 Fowler MAX-JACK Heavy Duty Screw Jacks are on sale at Gaging.com! 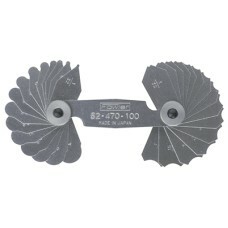 • Simplify set-u..
52-465-005 Fowler Parallel Clamp 1-1/4"
The 52-465-005 Fowler Parallel Clamp 1-1/4" is on sale at Gaging.com! 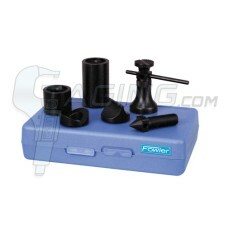 • Designed for maximum stre..
52-465-010 Fowler Parallel Clamp 2-1/4"
The 52-465-010 Fowler Parallel Clamp 2-1/4" is on sale at Gaging.com! • Designed for maximum stre..
52-465-015 Fowler Parallel Clamp 3"
The 52-465-015 Fowler Parallel Clamp 3" is on sale at Gaging.com! • Designed for maximum strength.. 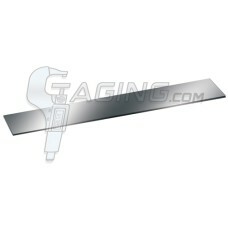 The 52-470-100-0 Fowler Radius Gage 1/32" - 1/4" by 64ths is on sale at Gaging.com! Radius Gage ..
52-480-050 Fowler Straight Edge 18"
• Width: 1.32" • Straightness: .0003" • Thick: .150" • Made of selected steels. Straight Edges •..